Searching for some great value vacations? You’re in the right spot! Dozens of beautiful destinations across the globe can’t wait for you to visit. 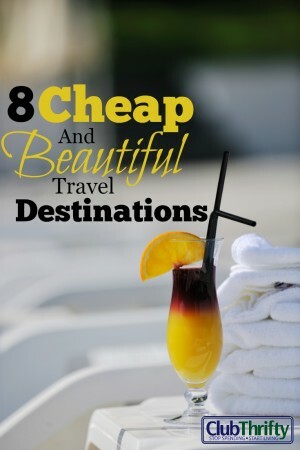 Better yet, many of them offer some amazing deals to earn your travel dollars. We’re not talking about your local historical museum or the mud pit down the road serving as a public beach, either. You can visit some of the most beautiful travel destinations in the world without breaking the bank. 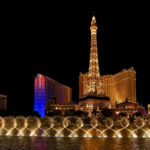 Destinations throughout Europe, the Caribbean, and Asia are on sale and well within the reach of most traveler’s budgets. So, where the heck do you find these great vacation ideas? Never fear! Club Thrifty is here to help. 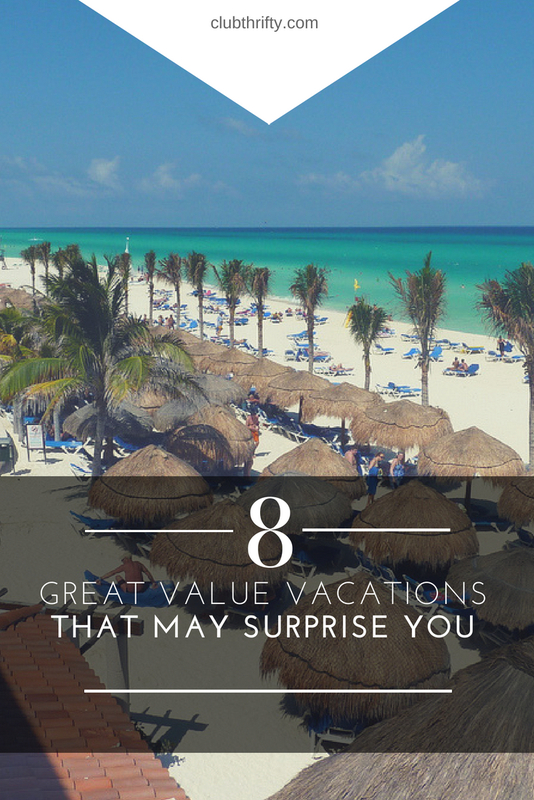 Below, we’ve listed 8 great value vacations, some of which will surprise you! But that’s not all. We’ve also provided some simple money saving tips to help you vacation for less! Plus, we’ll mention a few travel rewards credit cards that can help you get to your destination for pennies on the dollar. Let’s start off with a place that might shock you! Not only is Greece one of the most beautiful places in the world, it also provides great value. We last visited Greece in November 2016, and we’re heading back for a few days this summer. Let me tell you, we’re totally geeked up because Greece is one of our favorite travel spots on the entire planet. 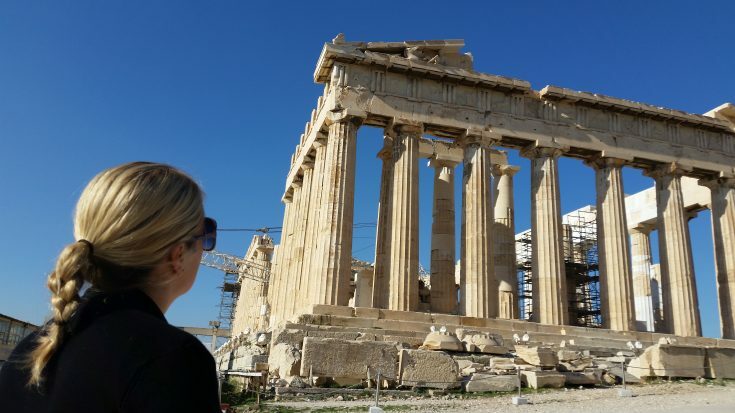 On our first trip there, after spending a few days in Athens, we departed on this 4-day guided tour of Classical Greece. During the tour, we wound our way through the Peloponnesian Peninsula, visited the incredible ancient site of Delphi, then topped it off with a stop at the breathtaking cliff-side monasteries of Meteora. The history here is incredible, the views are awe-inspiring, and the hospitality is second to none. We can’t recommend a trip to Greece enough! Hot Tip: While you’re there, you’ll definitely want to spend a few days in Athens. Be sure to hit the historical sites, visit the major museums, and wander through Athens’ spirited neighborhoods. We stayed in a couple of different hotels and would highly recommend the Hotel 360 Degrees. This property is located right on the lively Monastiraki Square, about 50 yards from the subway station. The rooms are clean and contemporary, plus the continental breakfast is excellent. To top it off, the hotel has amazing rooftop views of the Acropolis – both during the day and at night. Located between the (touristy) Plaka and (local favorite) Psiri neighborhoods, Monastiraki is within walking distance of all the major sites – putting you right in the heart of the action. Learn more about Hotel 360 Degrees here! Don’t Travel without This: Protect your travel dollars from trip cancellations, trip delays, medical evacuations, and more – potentially saving you thousands in the process. This stuff is important and realtively cheap! Compare travel insurance plans here. 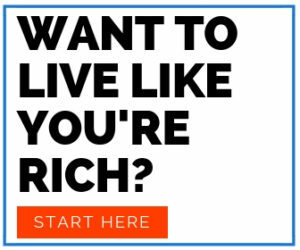 Don’t think you can afford to travel to the Caribbean? Think again. Traveling to Jamaica is an excellent way to get the island experience you crave at a price you can afford. Jamaica is famous for its beautiful beaches, turquoise waters, and friendly hospitality. Nothing beats relaxing on the sugary sand, cool drink in hand, under the hot Jamaican sun. Of course, there’s more to do in Jamaica than just sit on the beach. You can ride a zip line through the lush green mountains or float down the Martha Brae River on a raft. Take the whole family to popular Dunn’s River Falls for a fun day outdoors. Or, if you’re feeling particularly naughty, take a ride through the mountains on the Bob Marley tour! (Leave the kids at the hotel for this one.) Learn more about these tours here. Hot Tip: We’ve traveled to Jamaica 6 times over the last 4 years, including 4 times with the kids. 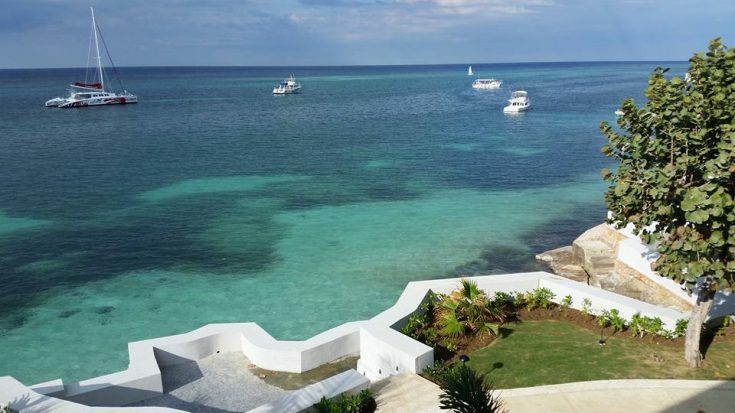 If you have a family, you might want to consider the Holiday Inn All-Inclusive Resort in Montego Bay where KIDS STAY FREE! Yup, that’s all your food, drinks, and entertainment wrapped into one low price. It is a Holiday Inn, so don’t expect luxury; however, the beach is awesome, and we never feel nickeled and dimed. Additionally, it never hurts to use Club Mobay to help you zip through customs and immigration, especially on the way in. If the lines are long, you might save hours getting through here. Get your fast track customs pass here. Want to take a beautiful beach vacation at a great price? Look no further than Mexico. Every year, Mexico is on the list of cheapest places to travel, but that doesn’t mean it isn’t awesome. Yes, they’ve gotten some bad press lately, but don’t cross it off your list just yet. We’ve spent time on both coasts, and you can’t go wrong no matter which side you pick. 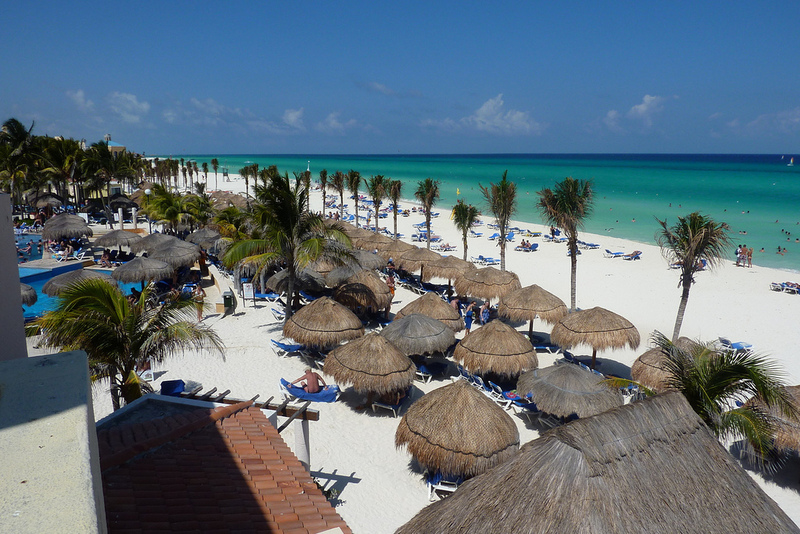 On the Gulf coast, Riviera Maya is the place to go! Playa del Carmen is the area’s crown jewel, with stunningly gorgeous white beaches and crystal clear Caribbean water that is second to none. Staying in Playa isn’t as crowded or expensive as Cancun, but it’s also not too far away for a quick visit. While in Playa, be sure to check out the magnificent shopping, dining, and nightlife on 10th Avenue. The energy is intoxicating! Playa del Carmen is also just a short ferry ride away from Cozumel, which offers outstanding diving and snorkeling opportunities. When it comes to the Pacific side, it’s hard to go wrong with either Mazatlan or the Los Cabos area. Both have beautiful beaches, entertaining nightlife, and some of the best food you’ll find anywhere in the world. In January, average temperatures on both coasts are in the low to mid 80s. Of course, since it’s winter in the U.S. and Canada, the snowbirds typically flock to Mexico and drive up prices during this time. For the best vacation deals, visit off-peak when the prices are lower. Hot Tip: One of our favorite things we’ve done on Mexico’s Gulf coast is this 3-cenote snorkeling tour. The tour visits 3 cenotes, which are freshwater sinkholes. You’ll see all kinds of fish, including a trip into an underground cenote. (Yep, you get to snorkel inside a cave.) It’s pretty cool, and I’d recommend it to anybody! Want to find a hotel that blends luxury with value? The TRS Yucatan is definitely a spot to consider. Located inside the Grand Palladium Resorts of Riviera Maya, this all-inclusive hotel within a hotel offers some serious luxury at an affordable price. The rooms are impressive, the food is delicious, and the entertainment is a blast! Although this part of the resort is adults-only, the rest of the resort is family-friendly. To learn more, read our full TRS Yucatan review. Belize ranks fourth on our list of great value vacations! This small, sub-tropical country is becoming more and more popular due to its beautiful natural environment, slow pace, and affordability. As an added bonus, English is one of the country’s official languages, making it easy for English-speaking tourists to communicate. Belize is best enjoyed by people who like the outdoors, beaches, and water. 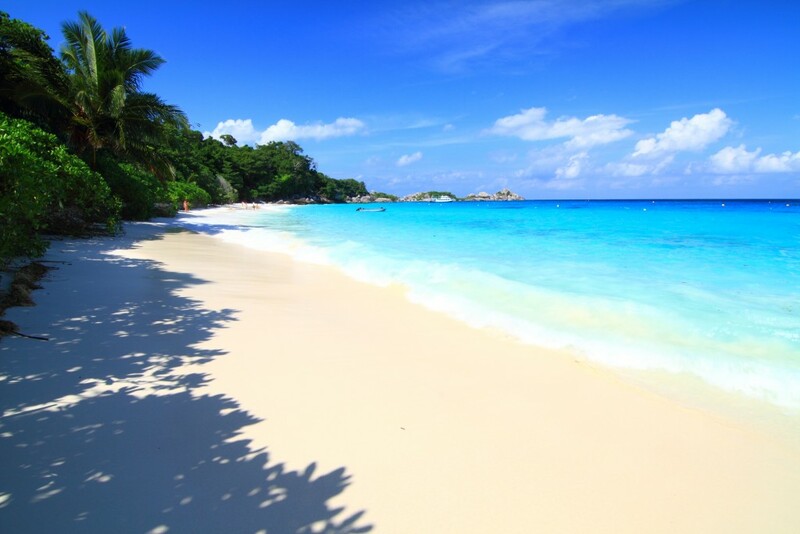 The Caribbean waters are very warm during the summer season, up to 83 degrees Fahrenheit! So, summer is a great time to enjoy some of Belize’s most popular recreational activities like swimming, diving, snorkeling, and fishing. If you love beautiful seascapes, Belize has well over 300 kilometers of coastline to explore. Off-peak season runs from May to October, with rains beginning in June, so look for the best travel deals during late spring to early fall. Prices during December, January, and February can be much higher unless you plan far in advance and get lucky. Hot Tip: One easy way to make travel cheaper is through the use of credit card rewards. Although the value of points varies from card to card, some cards offer huge signup bonuses when you meet the minimum spending requirements. These points could be worth hundreds in free travel when you transfer them to travel partners or book through a credit card’s travel portal. 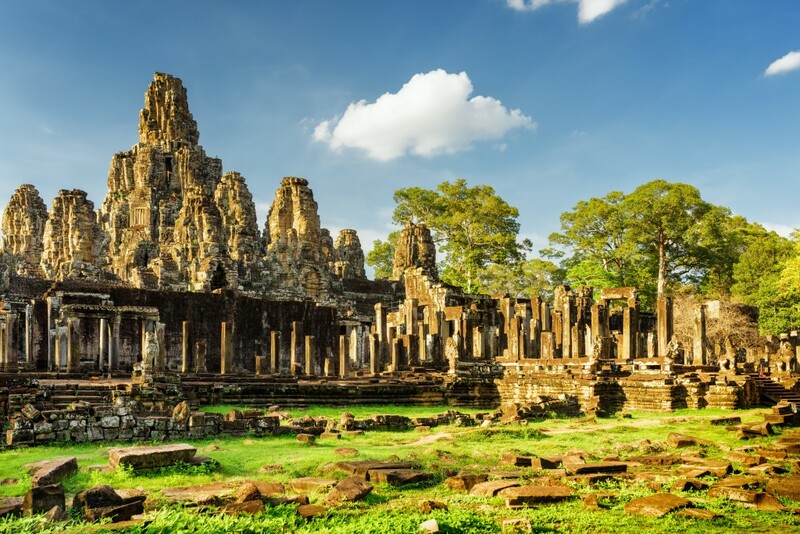 If you’re looking for a great value vacation, look no further than Cambodia. It is one of Southeast Asia’s most beautiful travel destinations, and it offers a plethora of low-cost options for transportation once you get there. Large, air-conditioned buses are available, as are share taxis and rentals. Make sure that you don’t rent a car or motorcycle without insurance. If you want to have time to view the scenery, riding a bus – or even a slow-moving train – is better than driving. Plus, it is safer. Another way to check out Cambodia is to rent a mountain bike. Biking provides a great way to see the landscape and really interact with the Cambodian people. The roads are rough, but that just adds to the adventure. Travelers will also find water taxis and in-country flights that are available, even though the country is fairly small. Meals here are relatively cheap and can be had for about $2.50, depending on where you go. Tourists should definitely visit the capital of Phnom Penh and the ancient Bayon Temple located at Angkor Thom. There are also sleepy coastal villages like Kep where you can slow down and just enjoy the water. Hot Tip: Think you want to try rewards cards but don’t know where to start? We’ve got you covered. Check out our “Beginner’s Guide to Rewards Cards” and learn about the different types of cards available, how they work, and which cards may be right for you. If you are already in Phnom Pehn, try hopping on a bus for $10-20 and cross the border to Saigon, Vietnam. 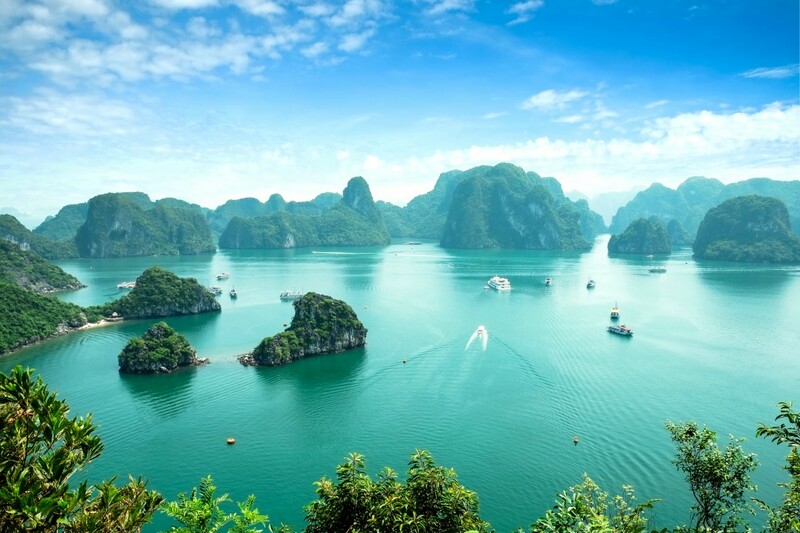 Vietnam is one of the least expensive travel destinations in the world and one of the most beautiful. Like Cambodia, this is a country where you can find low-cost enjoyable food at local markets. You may even find a woman with fresh produce and spices who whips up something right in front of you. Of course, Vietnam also has its share of high-end restaurants and fine dining. When it comes to Vietnamese activities and attractions, you have a wide array of choices. 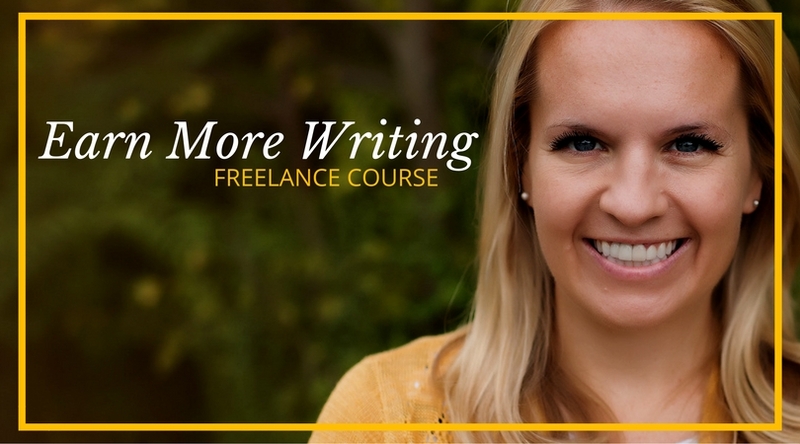 Doing your research prior to coming can help you save time and money. From an overnight stay on a junk in Halong Bay to taking cooking classes, you’ll find plenty of budget-friendly things to do in Vietnam. Typically, there are many forms of transportation available for foreign tourists to use. Some of the best options include trains and buses. However, keep in mind that the national Tet holiday usually takes place in late January or early February. During this time, local people are on the move which could make travel for foreigners difficult. Hot Tip: While Southeast Asia offers a variety of cheap places to travel, getting there can be pretty pricey. While programs like Chase Ultimate Rewards and AMEX Membership Rewards can certainly help, sometimes you just have to cut costs by finding cheap flights the old-fashioned way. Luckily, sites like Airfarewatchdog.com can help you compare a bunch of different flights quickly. 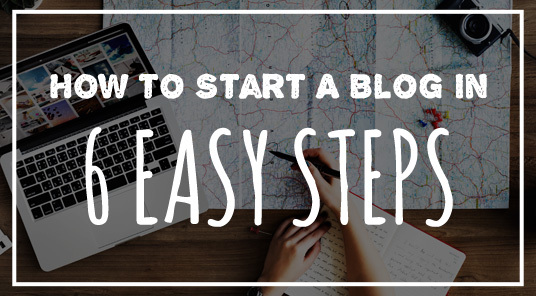 Get started below. Thailand is also just a bus ride away from Cambodia. Flights to Bangkok can be expensive, but there are several different airline passes that can help you save big bucks if you plan to fly within Southeast Asia. When traveling through Thailand, using trains is also a good option to get you from one spot to another. Just be aware that they can be very slow. Traveling the country by bus seems to be the preferred method for most budget-conscious tourists, although you can also catch a cab if you want something a little more private (and more expensive). If visiting Southeast Asia sounds great but you need your modern amenities, Thailand is your spot. As the most developed country in the region, you’ll find large movie theaters, gigantic shopping malls, and fine dining restaurants – especially in Bangkok. Looking for a more authentically Thai experience? 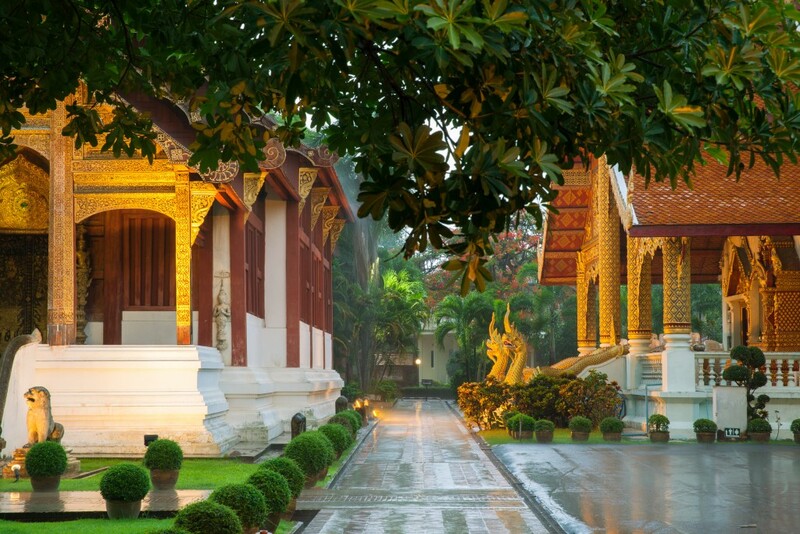 Chiang Mai is a good place to slow down and immerse yourself in Thai culture. Here, there is a lower cost of living as well as more access to natural habitats. Accommodations can be booked as cheaply as $15 to $60 per night on VRBO. Of course, your trip to Chiang Mai would not be complete without getting at least one massage. A massage may last for an hour or more, and they’re typically so affordable that you might as well get two! Regardless, it helps to know your own tastes before you go so you don’t try to cram too much into one trip. Hot Tip: While near Chiang Mai, book this adventure tour to visit a hilltop tribe! You’ll also get the chance to go ziplining and white water rafting. If you’d prefer to stay in the city and visit a few temples, this tour may be more your speed. When searching for great value vacations, don’t forget about Laos! The country has a very lengthy border that can be entered from Cambodia, Thailand, or Vietnam. It is still relatively undeveloped, so it can be very affordable to travel once you are there. While it is known for being a very relaxed place to visit, Laos is not known for its creature comforts or its cleanliness. Still, it is easily one of the cheapest and most beautiful travel destinations in Asia. Luang Prabang, Vang Vieng, Vientiane, and Southern Laos are some of the top places to visit. Luang Prabang is the former capital city of Laos, and is stocked with scores of Buddhist temples and markets. The total population is only about 25,000 people, so it certainly isn’t a metropolis. A meal of sticky rice and coconut can be purchased for about one US dollar – which is totally affordable in my book! 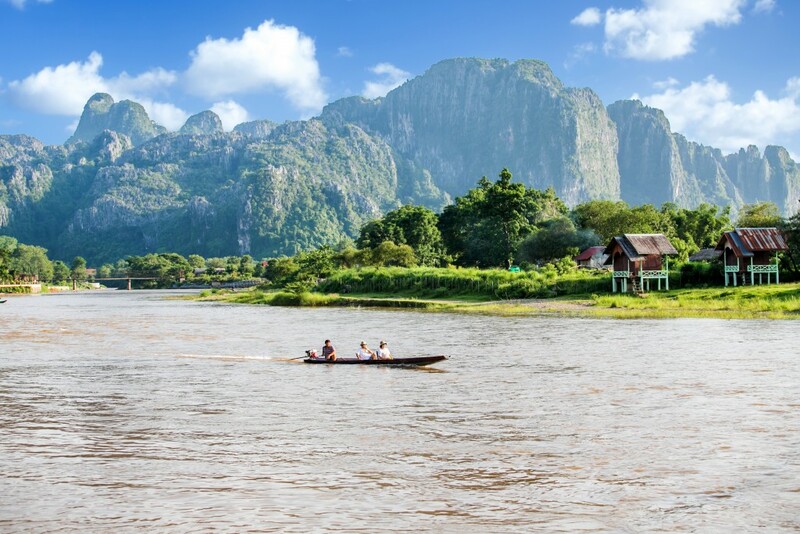 With its natural beauty and peaceful river, Vang Vieng has become a destination for backpackers from around the globe. It is also very affordable. Vientiane is the current capital of Laos and has a population of well over 700,000. Like Luang Prabang, there are many Buddhist temples here, including Buddha Park. In a city this size, you will certainly find many excellent restaurants. However, dining at Makphet Restaurant is an unforgettable experience all its own. The restaurant has a program for street kids, training them as chefs and waiters serving traditional Laotian cuisine. Plus, as one of the top-rated restaurants in Vientiane, the food is sublime. Make It Cheaper: Use a cash back card to help make your travel dreams come true! Some cards even offer double cash back your first year! Compare the best cash back cards here. Visiting cheap vacation destinations isn’t the only way to save on travel. 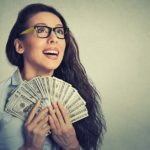 Use these 6 simple tips to stretch your dollars even further! Search Over 30,000 Vacation Rentals – Need a beach house in Barbados or an apartment in Rome? Tripping.com is the world’s largest vacation rental search engine! Pulling from sites like Booking.com, VRBO, and HomeAway, you’ll find over 30,000 rentals to compare in one convenient place. What are you waiting for? Find your perfect vacation rental here! Being flexible with your dates is a major key to saving money on travel. To find the best travel deals, it pays to go during off-peak seasons. 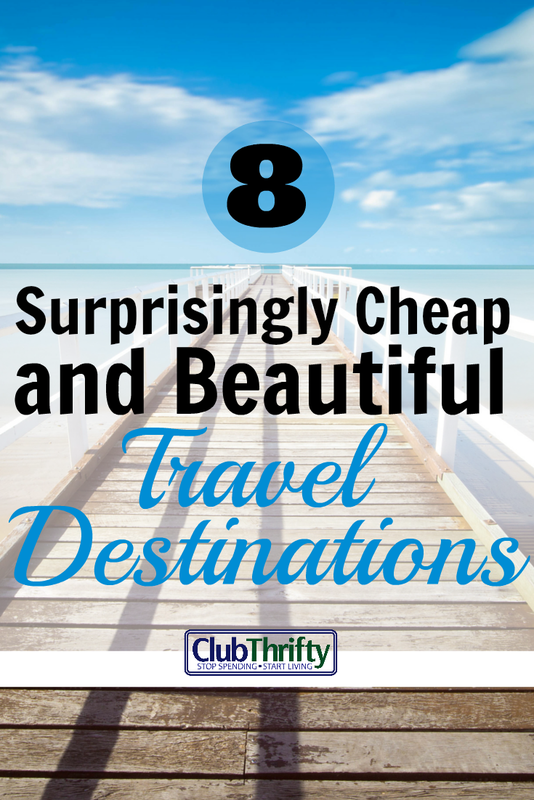 Not only will you find cheaper flights and hotels, many attractions slash their prices too. When it comes to Caribbean destinations, the best deals generally fall between May and November; European destinations are typically cheaper from November through March. In addition to traveling during slower seasons, you should also consider flying mid-week. Generally speaking, it is more expensive to fly on and around weekends and holidays. Demand for tickets are usually less on Tuesdays and Wednesdays, so search for flights then, if possible. One of the biggest costs of traveling is lodging. Even when visiting value destinations you can save big bucks by renting a condo or vacation rental. These places are often larger, which means you can split the cost of your lodging with family or friends. Plus, condos and vacation rentals usually come equipped with a functional kitchen. That means you can save money by eating in for some of your meals. As mentioned previously, websites like VRBO are a great place for travelers and rental owners to hook up. There, you’ll find affordable properties to rent located all around the world. You can compare prices, read reviews, and book your stay. We’ve used it on several occasions and love it. Learn more about VRBO here! Interested in meeting new people and saving big money on travel? Don’t mind sleeping in somebody else’s place? Couch surfing may be for you. Through online apps, travelers and locals can now meet and connect. Travelers get to meet new people, crash at a free place to stay, and get tips on what to see from locals. Hosts meet people from all over the world plus get a chance to show off their stomping grounds to tourists. It’s great for everybody. If you’re game, check out a website like CouchSurfing. Even value vacations can still be expensive if you don’t watch your spending. To avoid spending more than you intend, create a travel budget before you go. Just as you’d do with your monthly budget, create a plan for how much you’ll spend for things like food, drinks, and souvenirs. Even better, stash some money in a travel savings account. Then, keep an eye on your spending during your stay and don’t forget to write it down. Remember, a budget doesn’t restrict you; it helps stretch your money further. 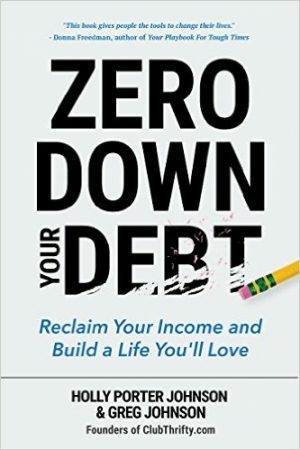 By creating a plan, you can save on the things that don’t really matter so you can spend more on the things that do. 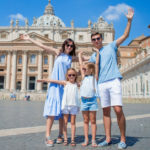 Travelers typically have money to spend, and the areas around where tourists stay generally reflect that reality. It doesn’t matter if you’re shopping for food, clothing, or souvenirs – prices in tourist areas are almost always higher, sometimes remarkably so. To save money, try to shop where the locals shop whenever possible. You’ll find cheaper prices and – sometimes – more unique goods. Also, don’t forget that – in many areas of the world – you are expected to negotiate. Don’t just pay the sticker price. Make an offer and walk away if you don’t feel the item is worth it. One of the best ways to save money on travel is to take advantage of sightseeing passes and local coupons. Many travel destinations have welcome centers that offer free coupons and deals at local restaurants and attractions. Just using these can save you hundreds on activities and food while you’re there. Also, be sure to check online for any deals or coupons before you go. In many larger, more expensive locations, you can still save money with “city passes.” Cards like the London Pass can help you save on the price of admission to the area’s popular attractions. Even more importantly, features like “Fast Track Entry” help you skip long lines and save time. 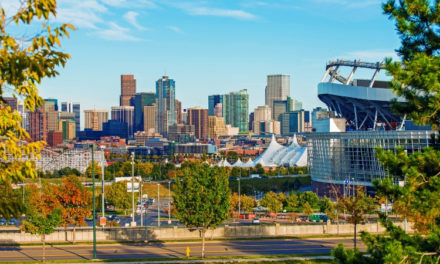 Most large cities, particularly in the U.S. and Europe, have a pass. Make sure you check their benefits before you go! 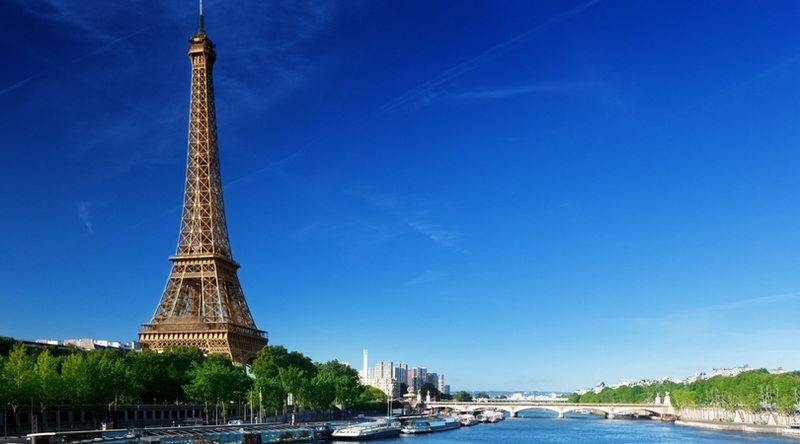 Here’s a big list of some of our favorite sightseeing passes from around the globe. Want more info about traveling on points? Get your FREE personalized travel rewards plan by clicking the link below. We’ll help you plan the trip of your dreams, and save you some big money doing it! Thanks for reading and happy travels! Get Your FREE Customized Travel Rewards Plan Here! Wow, those are al lovely. I’m completely jealous. But we’re now using the Sapphire card to plug away toward the travel bonus. That’ll let us send him up to Washington while I’m at FinCon this year. Yay! Sweet! I love the Sapphire card. The points are so flexible, and you can even turn them in for cash. (I wouldn’t, but you can if you want to 😉 ) Hope to see you at FinCon! That’s true! I may have to update this to include the Dominican at some point. Where are you guys going? We’ve been to Punta Cana, and it was absolutely beautiful! Love, love, loved it! The photo of Vancouver seems like a city right up my alley! I really haven’t paid much attention I guess, but I love that shot! Thanks for the information! My top picks are Vietnam and Costa Rica. These two places are so wonderful and paradise, and I have been dreaming to visit these two since childhood. I haven’t been out the country yet, but I’m changing that this year. My best friend is getting married in Costa Rica later this year. I am also planning for another trip to possibly Mexico or Canada. Nice! That sounds fun – bring me! A lot of these places are on my travel wish list for the future. We have been to Mexico once but want to go back and check out Riviera Maya. And hopefully we will be travel hacking our way down there! I’m teaching English in Thailand right now and LOVE it. Thailand is so beautiful. For anyone who goes there, I would suggest flying into Bangkok, spending 1-2 days there, then go down to Phuket or Krabi so you can island hop to Koh Lanta, Koh Phi Phi, Railay Beach, James Bond Island, and more! Definitely stay in Chiang Mai, less pollution and more relaxed atmosphere than Bangkok. There are lots of beautiful places out there! Enjoy your travels! yeah…you are absolutely right greg. Nice place. So many ourists spots to explore. Thanks for sharing al these photos. Yes those are the top travel destinations anyone would want to go. I visited Mexico City a few years back. A great experience but I was surprised how non-touristy it was compared to other big cities like Paris or Madrid. This is such a fun post filled with great destinations! Mexico is a great place. I am going to Merida, Mexico, in June. I can’t wait to visit and explore the place. Awesome destinations! Will definitely consider them for 2017! I’m quite surprised about Greece being on the list. Thanks for checking us out! Greece was surprisingly cheap. Everything from hotel stays to food was considerably less expensive than some other destinations in Europe. To top it off, Greece is just awesome. I highly recommend it! These destinations look so dreamy! More to add to my bucket list of places to travel soon. Definitely! If you haven’t been, Greece is amazing. Thanks for information. Greece would definitely be at the top of my list. Great curated list here. Well done.